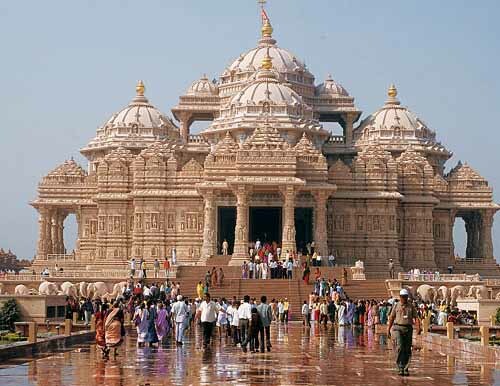 The megha Akshardham temple complex is finally opened to the public on 8 November 2005. The temple which depicts the Hindu mythology and Indian culture promises to attract lakhs of tourists’ every year with its religious tourism. Build over an area of 100 acres on the banks of the Yamuna River, it took more than 2 years for construction and costed around Rs.2 billion, funded by millions of Bochasanvasi Aksharpurushottam Swaminarayan Sanstha (BAPS) followers worldwide. The temple has 234 ornate pillars, 20,000 statues and many arches. Besides the Swaminarayan temple the complex consists of the main monument, exhibition halls, an IMAX theatre and a musical fountain, surrounded by a garden. It also got a restaurant modeled on the Ajanta and Ellora caves and an Ayurvedic bazaar. Swaminarayan Akshardham Complex is the newly built latest tourist attraction in delhi, India. 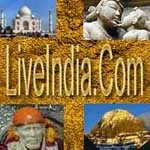 The complex is considered as one of the wonders of modern India. The complex is spread over swooping 30 acres on the banks of the river Yamuna near Noida in East Delhi on highway. 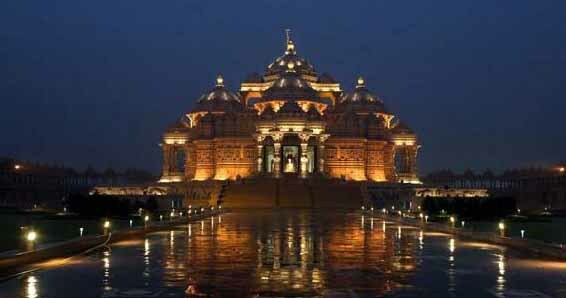 The Akshardham monument or temple is one of the biggest worship places in India. Built with sandstone and mable the monument is a remakable architectural feat achieved, with several architectural temple styles.The temple palace-like monument is built of at least 12,000 tons of pink sandstone and white marble brought in from Rajasthan. The temple consists of 234 intricately carved and ornated pillars. Roofed by 9 ornated domes in all the temple stands well above 129 feet high, 275 feet wide and 315 feet long. Gujarat.Besides the grand monument the complex has two huge exhibition halls meant for visual journey of tourists through India's cultural heritage and Indian moral values. The complex also houses an Imax cinema, a canteen which can accommodate a maximum of 5,000 people at one sitting, a research centre for "social harmony" and meditation gardens with fountains and bronze sculptures. Ghaziabad, Noida,Faridabad and Gurgaon are some of the nearest cities of Swaminarayan Akshardham Complex.